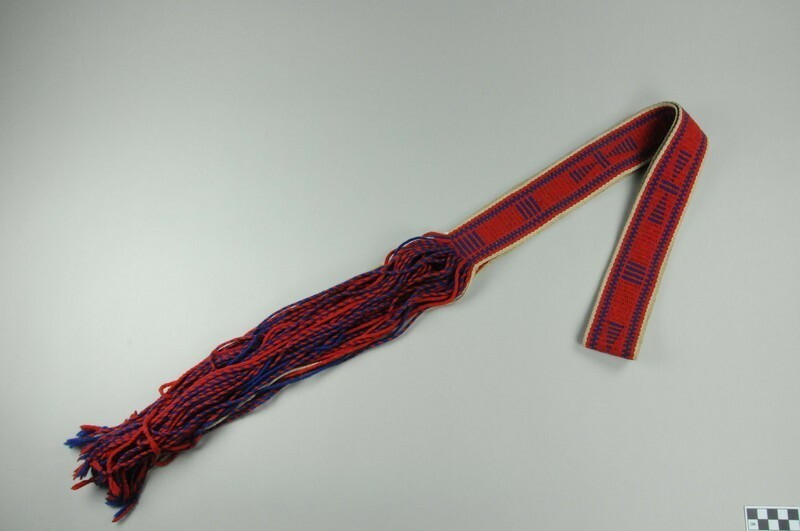 Navajo belt (possibly child's?). The belt is made of wool dyed off-white, blue, and red. The design consists of bue and red warp, with blue lines and blue butterfly-like motifs down the center on a red background. The weft is off-white and creates the edges on either side. The fringe is quite long. Dimensions below include the fringe.